Our new larger XL ionization chambers™ optional XL Matrix Heavy Duty GRID™ plates combined with our new Life High-Efficiency Micromembranes™ enable our ionizers to give you more. The highest pH levels, the highest antioxidant ORP levels, and the highest amount of molecular hydrogen that you can get in a home water ionizer. Alkalinity – How good is the water at fighting acidity? Antioxidant potential – How good is the water at fighting harmful oxidation? Molecular hydrogen – How much beneficial molecular hydrogen does the machine make? Essential minerals – How much beneficial calcium and magnesium does the water provide? A water ionizer gives alkaline hydrogen water antioxidant potential by imbuing the water with healthy electrons. In the body, those electrons fight harmful oxidation by neutralizing radicals that otherwise would strip your body’s DNA and tissues of electrons. So the more electrons a water ionizer can put into water, the more antioxidant benefit that water will have. 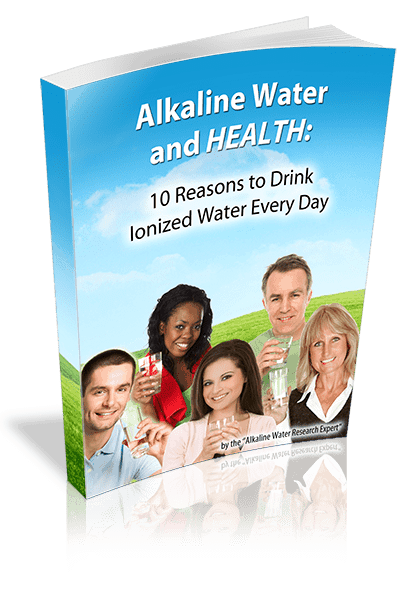 A water ionizer makes alkaline hydrogen water rich in molecular hydrogen, which has many health benefits. It takes a lot of power to make hydrogen from water, and top-of-the-line Life ionizers have up to 800 watts of power. Life’s new XL Matrix Heavy Duty GRID™ plates take advantage of something called The Faraday Effect: Electrons prefer to travel on edges rather than flat surfaces. Life’s XL Matrix GRID plates have the amount of edge surface area of any water ionizer plate made, so they can transfer electrons into the water at a higher rate than competing ionizers. More electrons = more age-fighting antioxidant power = more molecular hydrogen, it’s that simple. 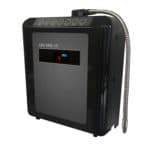 Life High-Efficiency Micromembrane™ To make water alkaline, a water ionizer must separate the alkaline mineral ions in water from the acidic ions. To do that, a water ionizer has to pull the alkaline and acidic ions apart from each other and into separate chambers. Those chambers are separated by a special membrane called an ion-exchange membrane. 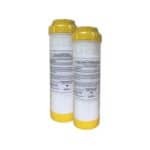 Life Ionizers new High-Efficiency Micromembranes™ use cutting-edge Porelon technology that precisely controls the size of the pores in the membrane that both the alkaline and acidic ions must pass through. The pore-size in Life’s Micromembranes™ is precisely calibrated to optimize the flow of both the alkaline and acidic ions. Because of that, a Life Ionizer is able to achieve a more complete separation of those ions. The result is alkaline water with a higher pH, and you get more essential calcium and magnesium in your alkaline water. One thing that limits the ability of conventional water ionizers to increase the health benefit you get from alkaline hydrogen water is mineral build-up: The essential calcium and magnesium you need for better health end up sticking to the plates and other surfaces in the ionizer, clogging it. It stops the ionization process in its tracks. That hard water scale also prevents the machine from generating molecular hydrogen. Life Ionizers overcame that limitation with our new CleanTech Technology™. This exclusive Life Ionizers Technology prevents minerals from sticking to the plates and other surfaces in your Life Ionizer. You get the full benefit that those minerals provide along with the maximum acid-fighting alkalinity, molecular hydrogen, and age-fighting antioxidant potential that alkaline hydrogen water can provide. Bottom line: You get more of the healthy qualities of alkaline hydrogen water that can benefit your health with Life’s new MXL Ionization Technology – guaranteed. Multiple studies suggest that you will realize the benefits of alkaline hydrogen water in about two to three months. There are over 40 studies on the health benefits of alkaline water. In those studies, researchers saw measurable improvements in health in about two months. 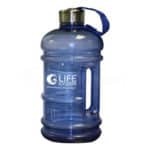 Life’s 75-day return policy enables you to put alkaline water to the test for a full two months. You can see for yourself how a Life Ionizer benefits your health. In conclusion, you really have nothing to lose but your health challenges! 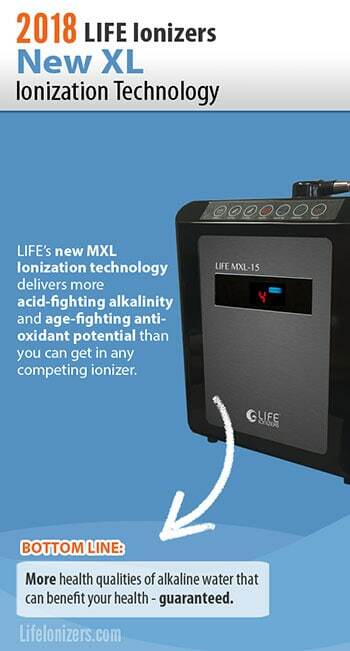 Why not give Life Ionizers a try? You have everything to gain, and good health is truly priceless.